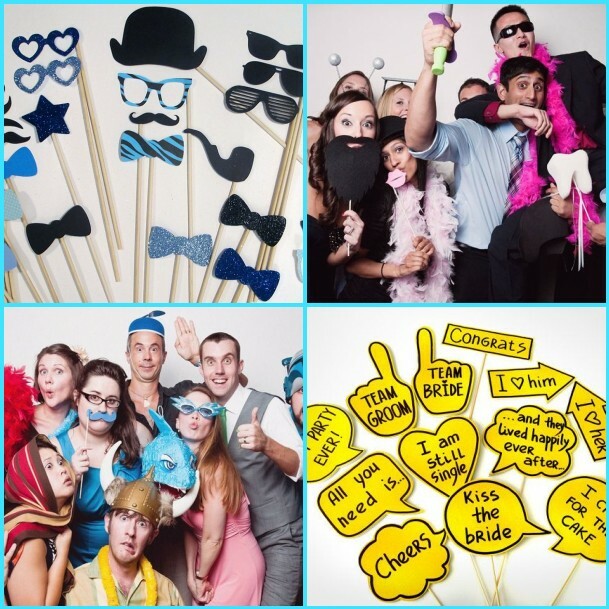 A photobooth is a great way for guests to take their own pictures at your event. It’s really fun to do and it also lets your guests express their creativity. Instead of hiring a company to bring their photobooth, why not do it yourself? Here are a few awesome ideas you can use to create your own! 1. Instead of using a plain white background, spruce it up with different colors and shapes. An example of this could be wallpaper. It is really easy and inexpensive to use. 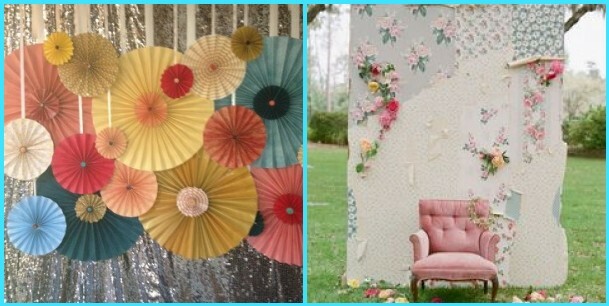 Also creating paper flowers and hanging them from the ceiling can add some dimension to the backdrop. 2. Add your own props. Props definitely add another element to the pictures. It’s also an awesome way for guests to make wacky faces or take on different a persona. 3. Use a theme. Adding a focal point to the background and having everyone gather around it can result in a great picture! 4. Adding picture frames. Cut out different shapes on the back wall. Then add different picture frames on top. 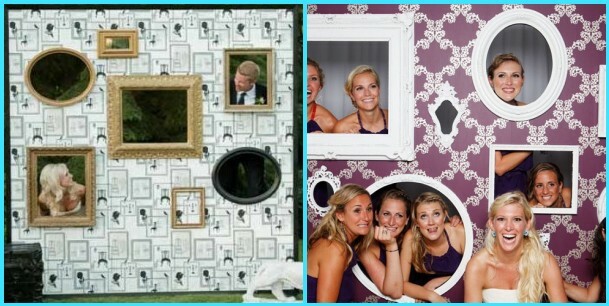 Instead of standing in the center, this allows guests to change up their placement in pictures. 5. Use a life-size Polaroid. The cool part is you can include the name of the event at the bottom of the picture. Also after the pictures are printed out, the Polaroid pictures look really awesome! 6. Don’t be afraid to use the outdoors. What better backdrop to use, than what’s just outside your door? A lot of times, the trees and leaves themselves can help add great color to the pictures. 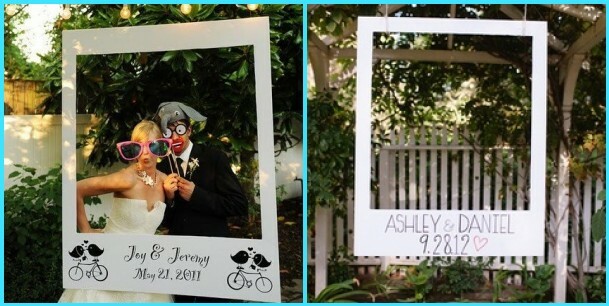 Using a photobooth is a great way for guests to have their own remembrance of the event. Like they say, a picture is worth a thousand words. So why not have your pictures speak for themselves. 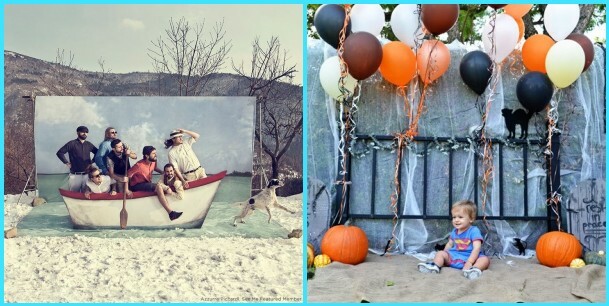 Have you created your own photobooth before? Tell us about it on the comments below or on our Facebook and Twitter. 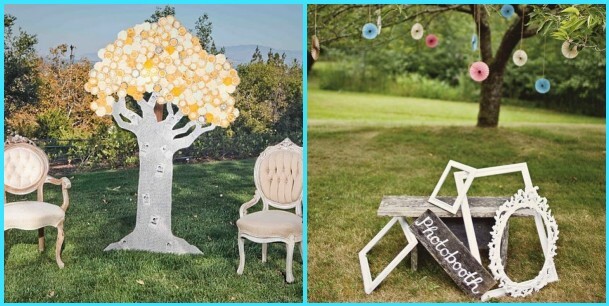 Check back on ABCey Events for more fun ideas for your next event!